Community nursing is an important focus for students who are completing their final year of the Bachelor of Science (Nursing) – BSc(N) program at the Ingram School of Nursing (ISoN). Collaborating with peers in small groups, they are assigned to work with a community-based organization in order to apply what they learned in class to a real-world project. ISoN nursing students Tracey Cordeiro, Varadan Corvione, Elize Cucca, Katerine Wong and Ling Yi Tam partnered with the caregiver respite team at Plumeau, chiffon et compagnie (Plumeau), a Montreal-based organization that provides in-home respite for family caregivers who look after seniors with cognitive or physical impairments. Many of the patients present different stages of Alzheimer’s or other types of dementia, and respite care offers a moment of rest for the caregiver and an opportunity to relieve stress and fatigue caused by the special needs of a loved one in loss of autonomy. 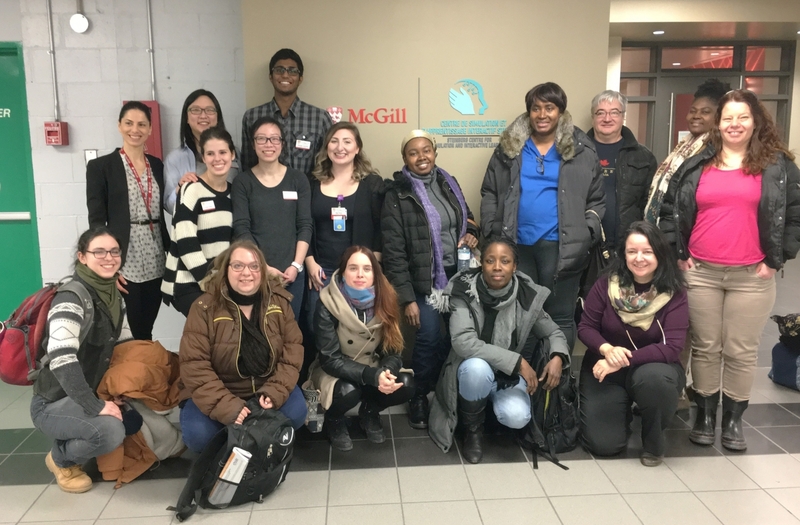 During this semester-long initiative, the students worked under the guidance of their instructor, Françoise Filion—ISoN Assistant Professor and Global and Indigenous Health Nursing (GAIHN) Co-Chair—and with the management team at Plumeau, by participating in meetings, focus groups and job shadowing to identify common themes and challenges in the day-to-day working lives of the caregiver respite employees. Based on this knowledge, the team created a series of three scenarios to help develop the skills of respite workers and to better prepare them for difficult encounters with clients that may involve aggression and racism, forgetfulness, sexual advances, difficult family interactions, and transferring and toileting. 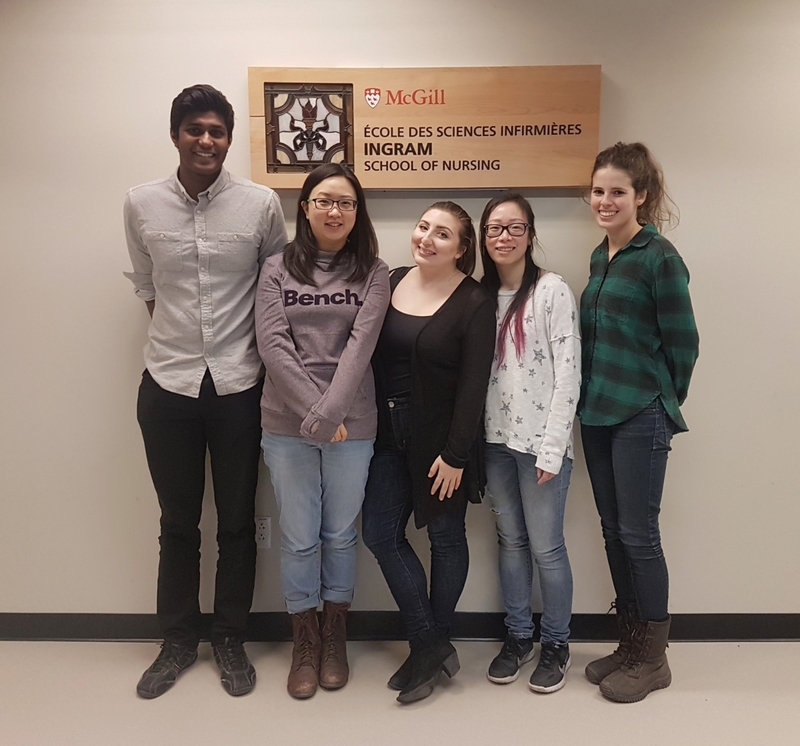 By working with Plumeau on this project, the nursing students learned a great deal about the community in Montreal and the needs of the elderly. They have a greater understanding of how community-benefit organizations are so critical to the performance of our health care system, as more and more services are being moved into community settings. Filion explains that creating a simulation project in partnership with a community organization like Plumeau and the SCSIL is a unique endeavour, usually reserved for faculty or health professionals. “I am very grateful that this experience was made possible for my students,” she says.